Professor Susan Greenfield is Director of the Royal Institution and Professor of Pharmacology at the University of Oxford Seminar on Tuesday 9 December 2008 The speaker was interviewed about her latest book, of the same title, by Dr. Tom Pink, Reader in Philosophy at King's College London. 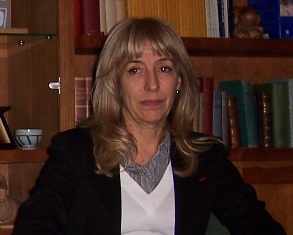 Her other books include The Human Brain: A Guided Tour (1997), The Private Life of the Brain (2000), and Tomorrow’s People: How 21st-Century Technology is Changing the Way We Think and Feel (2003). She has spun off four companies from her research. In 2006 she was installed as Chancellor of Heriot-Watt University and voted ‘Honorary Australian of the Year’. In 2007 she was made Fellow of the Royal Society of Edinburgh. I am very annoyed by the ‘nothing-but-ism’ of some people: the notion that you can reduce things to a simpler level, to the gene, or the ‘transmitter for pleasure’ (as though it had pleasure trapped inside it! ), or a brain area ‘for’ this or that (as though it were an autonomous mini-brain)… It is a tendency we all have. People in the ’Sixties used to liken the brain to a computer because things were easily explained in that way. It is, however, simply wrong to try to understand the brain by reducing it to its component parts. Baroness Greenfield: Taking the whole nightmare scenario as I paint it, if the biotechnology, the nanotechnology, and the information technology were all at work in smearing distinctions, one might find there would be no more wisdom. If you live in a world where you are spend all your time in two dimensions saying ‘Yuk!’ and ‘Wow!’ and rescuing a princess you do not care for, you will not have much insight or wisdom.